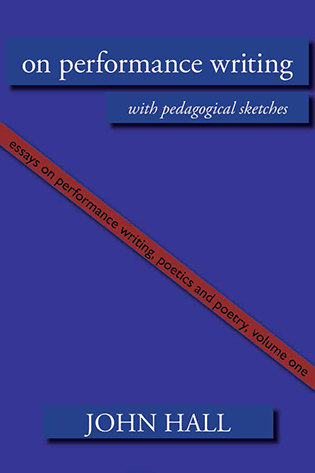 Most recently published essay: 'Performance Writing: Twenty Years and Still Counting', in Journal of Writing in Creative Practice, Vol. 6, No. 3, issue edited by Jerome Fletcher, pp. 355–363. In October 2013 Shearsman Books brought out two volumes of essays which include most of those listed in the linked page, with original publishing details and links to essays that can be easily accessed on the internet. 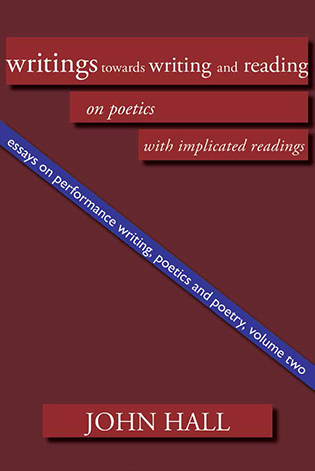 There is a 'response' by Sophie Mayer, with the title '"Always an Alibi Available": Performance Writings and Text Festivals', that also considers Tony Lopez's The Text Festivals: Language Art and Material Poetry. A review by David Kennedy, 'How to Write about Writing', can be found here. And Peter Hughes reviews these essays along with Keepsache in Tears in the Fence No. 59.